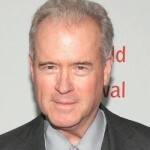 Today’s show looks at Robert Mercer, the man who is said to have out-Koched the Koch brothers in the 2016 election. The secretive billionaire hedge-fund tycoon, along with his daughter Rebekah, is credited by many with playing an instrumental role in Donald Trump’s election. Before Bannon and Kellyanne Conway joined the Trump campaign, both worked closely with the Mercers. The Mercers bankrolled Bannon’s Breitbart News, as well as some of Bannon’s film projects. Conway ran a super PAC created by the Mercers to initially back the candidacy of Ted Cruz. While the Mercers have helped reshape the American political landscape, their work has all been done from the shadows. Guest is Jane Mayer, staff writer at The New Yorker. Her latest piece is headlined “The Reclusive Hedge-Fund Tycoon Behind the Trump Presidency: How Robert Mercer exploited America’s populist insurgency.” She is also author of “Dark Money: The Hidden History of the Billionaires Behind the Rise of the Radical Right,” which just came out in paperback. Years before backing Donald Trump, the Mercers helped support the congressional campaign of Arthur Robinson, who attempted to oust Rep. Peter DeFazio. Robinson made for an unusual candidate. He is a climate change denier who speaks about the positive effects of nuclear radiation. Robinson runs the Oregon Institute of Science and Medicine, which stores some 14,000 samples of human urine. Robinson has said he is trying to find new ways of extending the human lifespan. The Mercers funded Robinson’s campaign and institute. The New Yorker’s Jane Mayer reports the Mercers also pushed to have Trump name Robinson as his science adviser. One of the more mysterious parts of the Mercer family’s political orbit is Cambridge Analytica. The data firm claims it has psychological profiles of over 200 million American voters. The firm was hired by the Trump campaign to help it target its message to potential voters. The Mercers have bankrolled the company and placed Steve Bannon on its board.